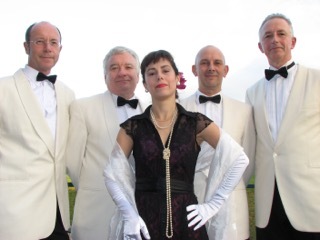 The Art Deco Swing Quartet is an experienced ensemble focusing on music purely from the jazz/swing era. Members of the band have played in chart topping bands, as session musicians for famous performers, and at many festivals both national and international. They have also written for TV and film and directed on the West End stage. Their music is accessible, easy to listen to and great fun. The band is available for your entertainment for private parties and corporate functions.